For those who might not have been close to the concert we did in New York/New Jersey, the Boston Byzantine Choir is doing the same program right here in the Boston area, and for the first time, in a non-Orthodox Church! 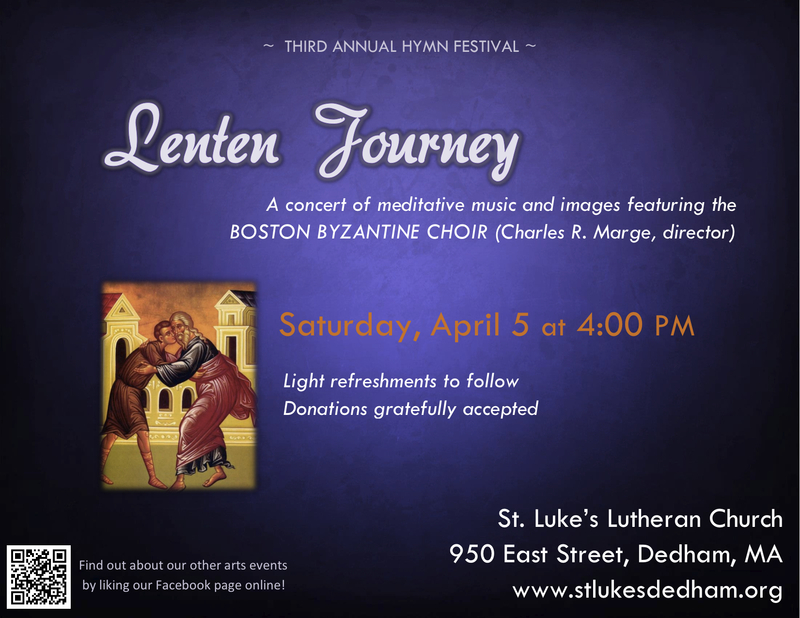 Please join us at St. Luke’s Lutheran Church in Dedham on Saturday, April 5 at 4pm in the afternoon for a time of spiritual enlightenment and refreshment. To all our readers in the New York area, please come to a free Byzantine Lenten music concert that our family will be singing in. The flyer is on the left for those who wish to promote it. 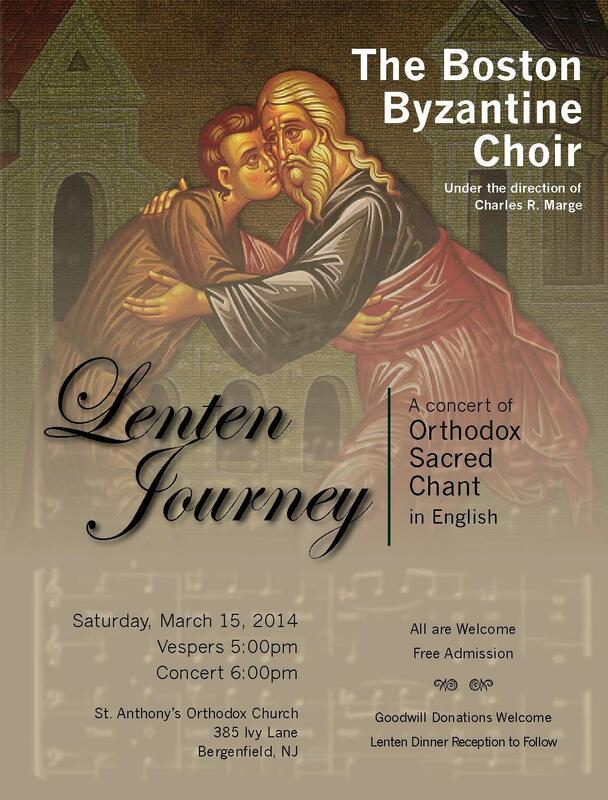 Saturday, March 15, 2014 at St. Anthony’s Orthodox Church in Bergenfield, NJ. It’s our choir director’s home parish before he went off to school and became a famous choir director, so it is going to be a bit of a homecoming, featuring many pieces from our Lenten CD released just last year. Also, for those interested in a deeper look at Byzantine chant, a master class will be offered for a small fee. Hope to see you all there. Stay tuned for more information about a concert upcoming in April in the Boston area. It will be our first time ever singing in a non-Orthodox Church!